Vishay Intertechnology, Inc. has introduced the new WSBS5216 and WSBS5216…14 12W Power Metal Strip® battery shunt resistors in the compact 5216 case size. With a resistance of 100µΩ, the Vishay Dale AEC-Q200 qualified devices increase accuracy and lower costs compared with Hall Effect current sensing solutions, while the optional Sn terminal plating of the WSBS5216…14 assists with PCB mounting and provides improved corrosion protection. The devices released today feature a proprietary processing technique that produces their extremely low resistance value. This low value allows for more accurate data to determine battery charge and discharge, thus helping designers meet specific customer battery-management requirements for applications in gas, diesel, hybrid, and electric cars and trucks, as well as electric forklifts, UPS systems, and other heavy industrial applications. 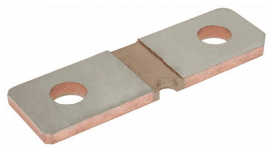 The WSBS5216 and WSBS5216…14 feature a solid metal manganese-copper alloy resistive element with low TCR (±20 ppm/°C) and a welded terminal-to-element connection that allows for up to 346A of continuous current. The resistors offer low inductance values of <5nH, low thermal EMF down to <1µV/°C, and an operating temperature range of -65°C to +170°C. The devices are RoHS-compliant, halogen-free, and Vishay Green. On The Web: Vishay Intertechnology Inc.